We lead a team of lighting specialists, set builders, cabinet makers to create an exhibition which included life sized models of elephants and horses, flying silk carpets and displays for a multimillion pound diamond male necklace. 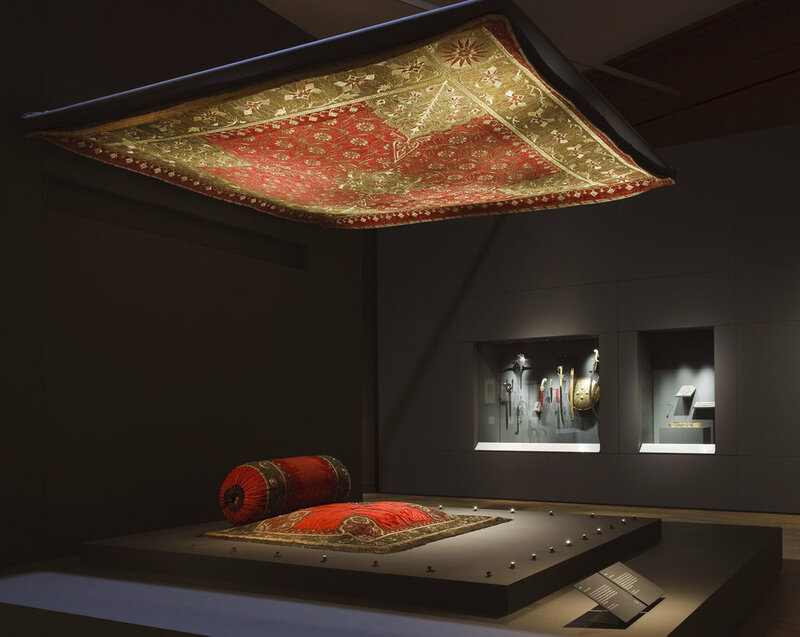 Materials used in the exhibition included gold leaf, brushed aluminium and red silk. "What Mowat & Company gave us was beautiful and atmospheric spaces, which echoed and enhanced the splendour and magnificence of the works on display without detracting from them. It was a wonderful design of a quality suggestive of a permanent gallery rather than a temporary exhibition."